Want to Buy a Foreign Property? Here are Four Ways to Save Time and Money. Buying a foreign property doesn’t have to be intimidating or expensive. In fact, you might be surprised at the simple steps you can take along the way to save time and money. However, foreign property ownership is also an investment and a serious commitment. It deserves due process when considering any possible transaction. Educating yourself can ensure that you save money buying foreign property – and on the transaction. Most foreign property purchasers like to rent an apartment or property before making the destination a permanent vacation spot. According to the BBC, buyers can ask themselves a few basic questions to discover whether this is the right property or place for them. It’s important to remember that like everywhere else, property markets like the Dominican Republic also go through their own trends and cycles. If prices are dropping in the United States, that doesn’t necessarily mean they are dropping in the Caribbean. Because of this, it is imperative that a prospective buyer monitors these trends. It is also wise to compare prices with local rents to understand property valuations. One of your initial priorities should be to obtain professional legal assistance. By seeking expertise in local laws you are protecting yourself from any potential scams or unforeseen issues. They can also ensure that all routine procedures are done correctly. 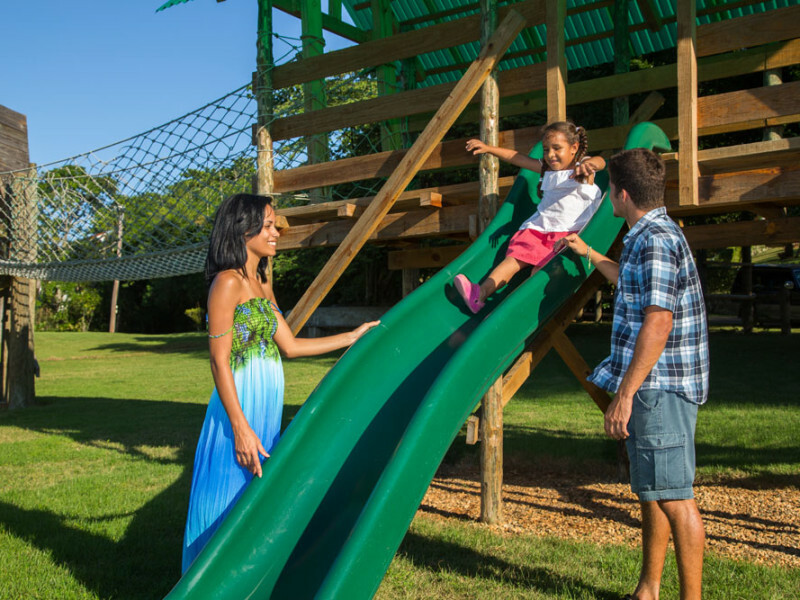 This includes owner registration, property title, planning consent, and any necessary permits. In addition, it is better to do business only with professional real estate agencies or with reputable developers who understand the process. The bottom line is, private transactions by owners can be risky. We also recommend that all documents are professionally translated into your own language. While most foreign buyers purchase foreign property against their own home, it is also worth considering a local mortgage. In particular, this is important if the property is an investment that will generate a local income. One key advantage of seeking a local mortgage is that loans may still be available on favorable terms – especially if the local economy remains stagnant or depressed. In addition to this, you may discover that your country of purchase has a much wider range of finance options and even lower rates. However, getting one is not always easy, as foreign banks are often strict when it comes to who they lend to. Once you have obtained an attractive purchase price on your foreign home and favorable terms on your mortgage, the next step is to get the best terms on your foreign currency transaction. Although your banks will undoubtedly offer foreign currency exchange services, their terms are typically not the most favorable. In fact, they often include higher margins on rates, steeper transaction fees, and limited transaction amounts. Whether you are paying in full, setting up a mortgage payment, or just making a deposit, there are better alternatives available. Specialist foreign exchange brokers are most commonly the best deal on large currency transactions and their rates are considerably better than banks. While the rate difference may seem minuscule at only 1 to 2 percent, that can add up to significant savings when dealing with large sums. One key advantage of using a foreign exchange broker is that many will permit you to reserve transactions at fixed rates as long as one year in advance. Therefore, you can reserve a favorable rate without needing to send money immediately. In fact, it’s quite possible that prospective buyers can save thousands with a foreign exchange specialist. And above all, don’t forget your personal tax implications. The location of your mortgage could have a significant effect on how your property is valued and taxed by your home country. You will need to consider capital gains and rental income as that will impact tax returns locally and abroad. The most important key is to stay informed every step of the way. Research is the key to success and being prepared. The key to a successful transaction is to make it an informed one. I would love your thoughts on this too. Leave me a comment on my Facebook Page which is SelectCaribbean. The future is found in green investment. According to a 2013 report from Climatescope, the Dominican Republic has the best climate for green investment in the Caribbean. Now, four years later, there is, even more, proof that they are making continued progress. According to the 2016 report, Dominican Republic has set a target of 10% of its electricity supply from renewable resources. In fact, the government recently invested $126 million in wind projects. Because of this, there is a renewed push to grow green investment at every level. As a result, this helps to push the ranking up even higher. Progress is being made at many levels. In addition to the above, the Dominican Republic also has a net metering program. Basically, this means that retail electricity consumers who have renewable self-generation facilities are able to interconnect with the distribution company. Therefore, they are able to deliver surplus generation to the grid and obtain a billing credit. As of February 2016, there was a total of 23MW of generation under the country’s net metering program. This is good news for those looking for green investment in the Dominican Republic. Green investment happens at all levels – and it is especially valuable in the planning stages of a real estate investment. Green investment is quickly proving to be the wisest way to approach real estate development. By working with Mother Nature we will find the safest and cleanest way to build the future. Together. We welcome the opportunity to help you discover green investment properties. To learn more about our suggestions contact us today. 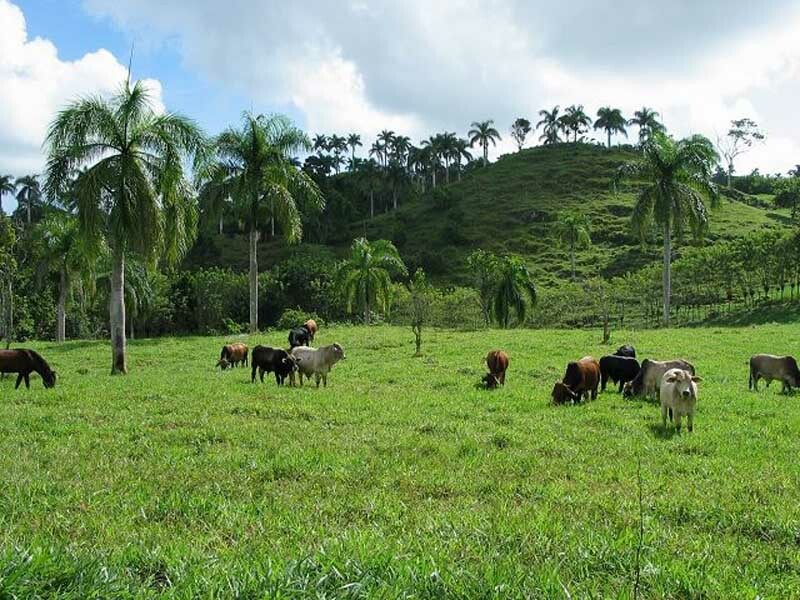 An exceptionally beautiful 677 acre (2.7 million square meters) Dominican Republic farm, lies high in the lush coastal range behind the seaside village of Abreu, near Cabrera on the north coast of the Dominican Republic. 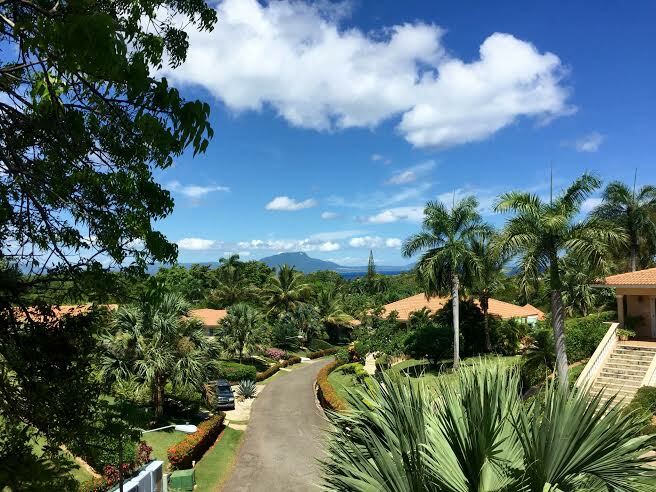 Just an hour from the Puerto Plata International Airport (POP) is this very special Dominican Republic farm with inspiring ocean views. Verdant forests of Acacia trees are connected by 2 miles (3km) of interior roads. 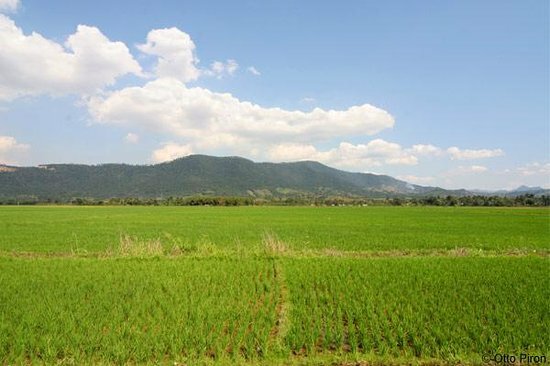 775 meters (900 feet) above sea-level in places, this unique piece of real estate farmland represents an opportunity to live and invest in the Dominican Republic. 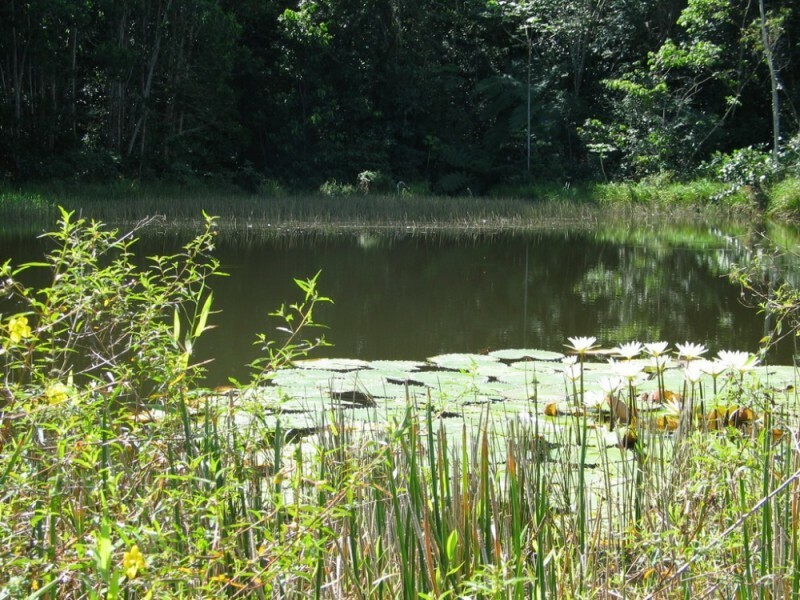 The property includes smaller streams and several ponds. The larger ponds are stocked with trout while the river teems with freshwater shrimp. Many wild animals call this property home; these include parrots, wild turkey, owl, and javelin. New to the property is a three bedroom farmhouse with its own kitchen & living room. The house id totally off the grid. It has its own solar hot water heater and an independent electrical system with solar panels, batteries, and inverter. At the moment, the farm supports 500 cows, producing both milk and grass-fed beef. Working infrastructure includes miles of fencing and a farmhouse. But the real gem of the farm is the park-like plateau located in a high section of the property. Here, an island of perfect peace exists where trade wind breezes and panoramic views of mountains and the sea combine to form a setting unrivaled anywhere. This Dominican Republic farm stands alone in the wide array of Dominican Real Estate offerings. Perfectly suited as a gentleman’s farm or large family compound, the property also has great potential for development. A boutique spa hotel with miles of walking nature trails would go well here. So, too, would a community of luxury homes, each with inspiring views and perfect privacy. The farm is just a few miles from the fabulous Robert Trent Jones 18-hole golf course at Playa Grande. Wonderful beaches and great fishing are just minutes away. 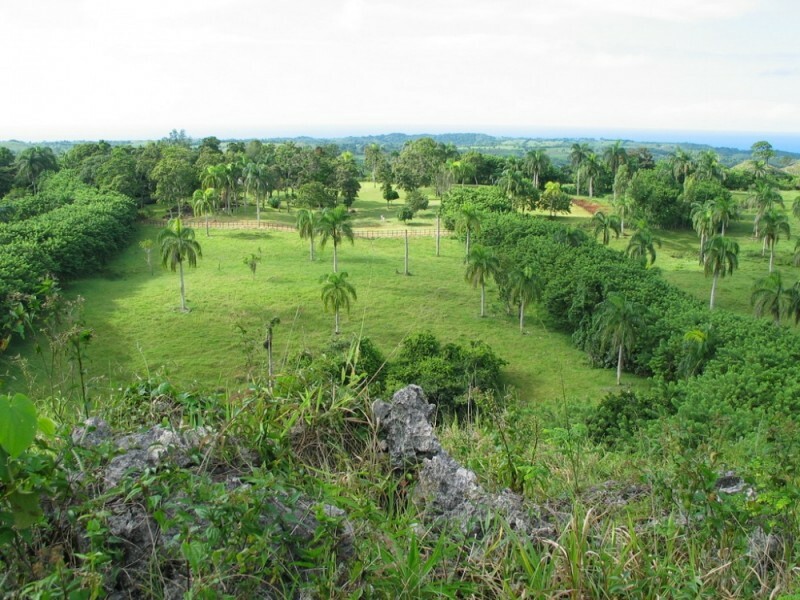 The farm was purchased 12 years ago and is now on the market again and represented by Select Caribbean Properties.